Imagine being able to assure your students' parents that it was true what their fifth grader said the night before. Yes, you would be taking them to NASA for a field trip; yes, they'd be back in time to ride the bus home; and correct, no need to send money. Seem extraordinary? Not so for hundreds of Indiana teachers. In fact, some even took their classes for a walk on the moon. 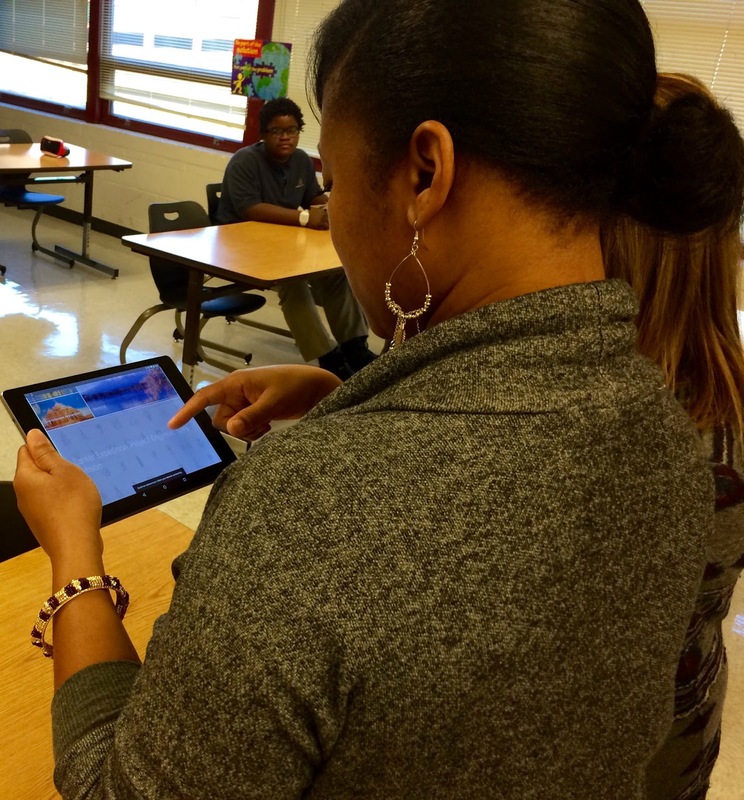 Throughout January and February, over two dozen Indiana schools are taking their students on virtual field trips to destinations such as Antarctica and the Acropolis as participants in Google for Education’s Expeditions Pioneer Program. The Expedition trips are collections of virtual reality panoramas-360° photo spheres, 3D images and video- annotated with details, points of interest, and questions that make them easy to integrate into curriculum already used in schools. The Wildlife Conservation Society, PBS, the American Museum of Natural History, the Planetary Society, and the Palace of Versailles contributed to developing the curriculum for students. There are currently more than 120 tours in the Expeditions program. Only 300-400 schools across the country have been able to experience the Expeditions Pioneer Program, which launched in September. The Indianapolis area was selected to be part of the latest round of visits. Schools participating in the program receive everything they need to travel: a tablet for the teacher, and Cardboard viewers and phones for every student. Using the tablet and editable notes, teachers can guide up to 50 students wearing the virtual reality viewers. Once the teacher selects a destination, the entire classroom jumps there automatically with the flourish of an anticipatory countdown. During my visit to Evansville's Glenwood Leadership Academy, I got to witness several enthusiastic introductions like the one in this video. In this particular class, the teacher paused the tour to review instructions with the students. 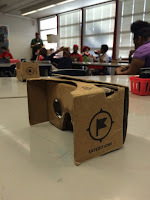 You will see that students were using two models of Google Cardboard. Google Cardboard is a virtual reality viewer made almost entirely of actual cardboard. Cardboard allows anyone with a modern smartphone to experience virtual reality. There will be more than 2 million in circulation by the end of the year. 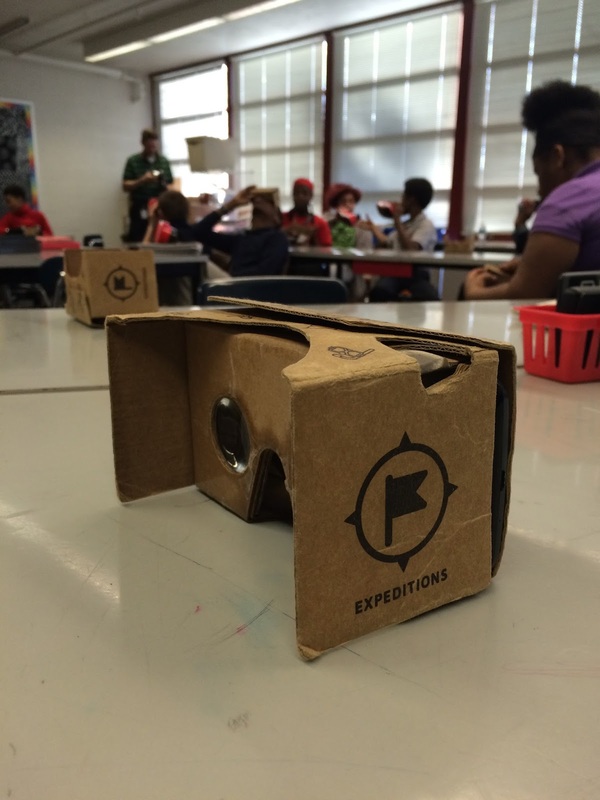 List of self-identified Indiana schools participating in Google for Education’s Expeditions Pioneer Program.